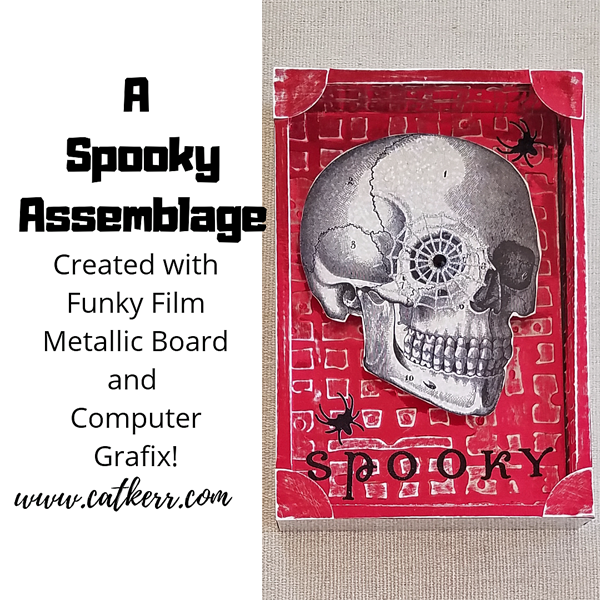 Project Description: Create a Spook-tacular Halloween décor using Grafix Metallic Foil Board, Funky Film and Computer Grafix Film. This project would also be great for a classroom art project! Cut the Funky Film to fit the sides and back of the shadow box. Remove the backing and apply it to the shadow box. Print a black and white skull image onto Computer Grafix Clear Film. Remove the backing and apply it to a separate sheet of Funky Film and then cut out. Add texture to a piece of Metallic Foil Board by placing it into an embossing folder and then running it through an embossing machine. Lightly sand it to show all the raised edges. Cut the Metallic Foil Board sheet into pieces to fit the inside of the shadowbox and glue them into place. Finish the edges of the shadowbox by gluing on a strip of Metallic Foil Board. 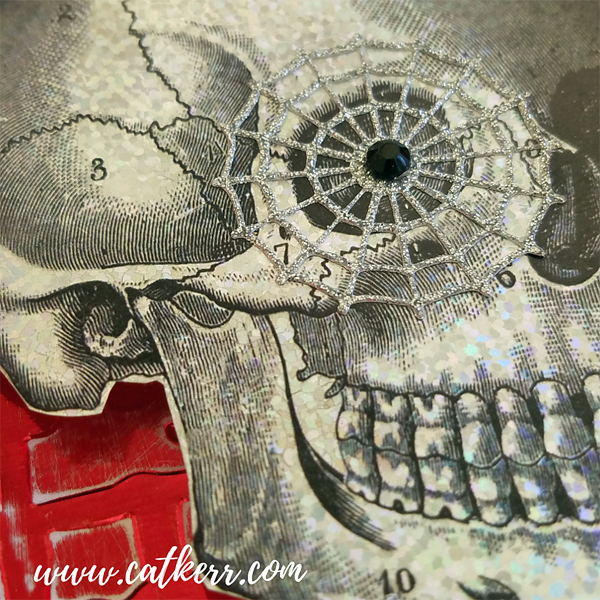 Use the circle cutter to cut a circle out of a piece of Metallic Foil Board and then cut the circle into quarters. Glue a quarter on to each corner and then lightly sand with fine sandpaper. 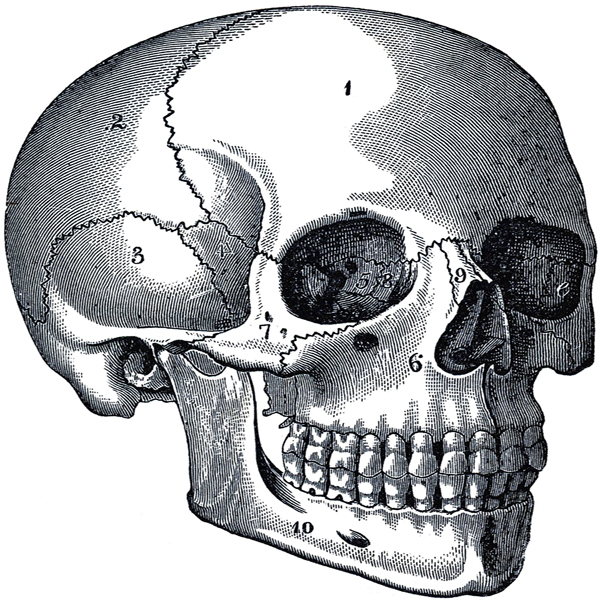 Glue two pieces of cardboard together and then glue it to the spot where you want to place the skull. This will give the skull some height. Then glue the skull onto the cardboard. Add letter, spider and web stickers and finish with a black rhinestone sticker.